What’s better than biting into a juicy, delicious piece of fruit that you grew in your own backyard? 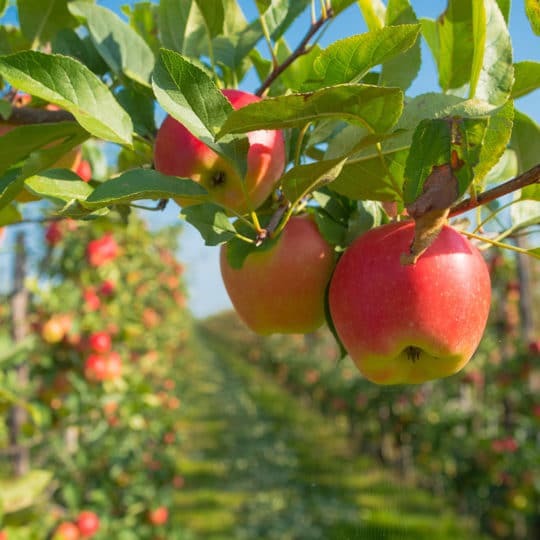 While you may not be thinking of growing fresh fruit in the middle of winter, it’s always a good time to think about the best time for fruit tree pruning. 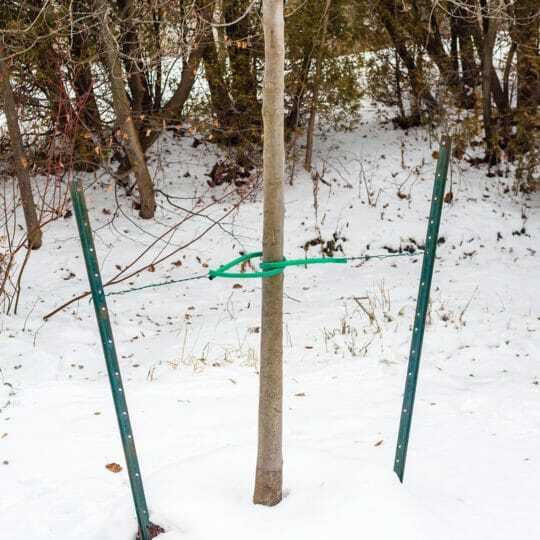 Timing and technique are two important factors of fruit tree pruning and done correctly, can help enhance the amount and quality of your crop. Initial fruit tree pruning is important to help train young trees how to produce thick stems sturdy enough to hold heavy fruit. Proper pruning also keeps canopies open so light and air can promote flowering and reduce fungal and bacterial diseases. The best time for pruning fruit trees is when they’re first planted. Cut the new stem off about 30 inches from the ground and remove any side shoots. This trains the tree to balance growth and helps keep it from getting top heavy. Most fruit trees don’t need pruning annually. After the first pruning, any future pruning should take place when it’s still dormant in early spring before buds break. Learning when to prune fruit trees will also create an open scaffold strong enough to bear all those beautiful fruits without breaking. The scaffold is formed by selecting four to five balanced branches, which will form the base of the tree. Not much fruiting happens in the first two to three years, but it’s still important to know how to prune during this time. You want to increase scaffold strength, promote fruiting branches, and minimize branch rubbing and crossing. After new growth has reached three to four inches, select the central leading branch and remove all others four inches below it. Spread side branches with toothpicks or something similar to form crotch angles of 45 to 60 degrees from the central leader. This allows maximum light and air through to strengthen branches. After five to six weeks, remove these spreaders. The first three years are devoted to shaping and strengthening the tree. Prune mature trees while dormant to keep the lateral branches in the proper shape. Cut them back to at least two-year-old wood close to the same diameter using angle cuts. This helps force water away from the cut end. Dormant pruning in early spring is also the time to remove dead wood and weak branches that diminish fruiting. 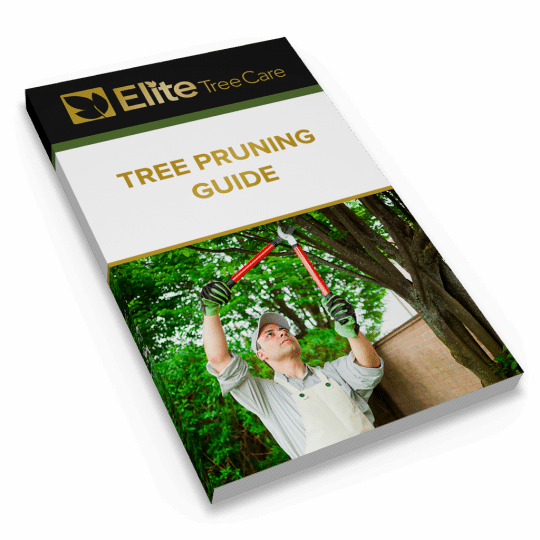 Once the tree is mature, if it’s been properly trained, the only pruning needed will be to remove weak downward branches, waterspouts, and dead wood. Untrained fruit trees may require drastic rejuvenation pruning to improve the scaffold. No matter what shape your fruit tree is in, it always helps to have a professional consult on the health and wellness of your plants. They can show you how to properly train the tree and set up a pruning plan. 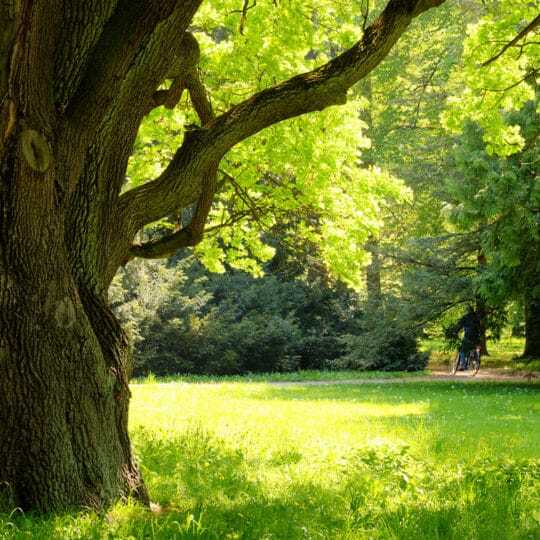 Contact the specialists at Elite Tree Care for a consultation, and get ready for a fruitful future.